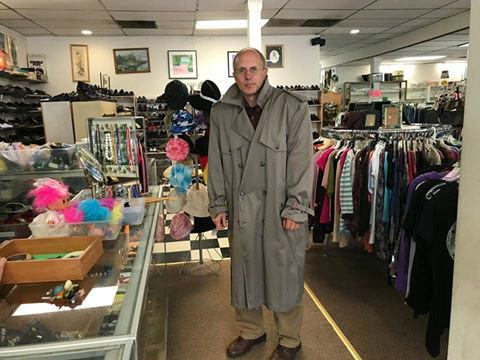 THIS PAST WEEK: My best friend Roy and I had just finished lunch so we walked across the street to the thrift store. I said, "Roy! This is a genuine London Fog in mint condition!" Roy replied, "It looks a little big on you." I wasn't giving in. "BUT, It has to be big enough to fit a suit jacket underneath." Finally, I realized just how stupid it looked when the cashier joined in on the fun lol.